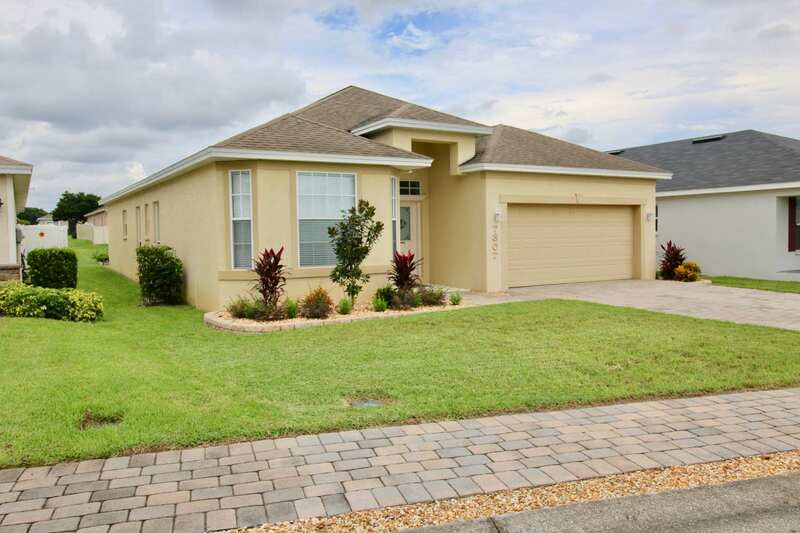 Beautiful clean 4 bedroom 2 bath North Lakeland home in the Saratoga community is move-in ready. A beautiful manicured lawn greets you as you pull up on the paver driveway. As soon as you enter the front door, you feel right at home! 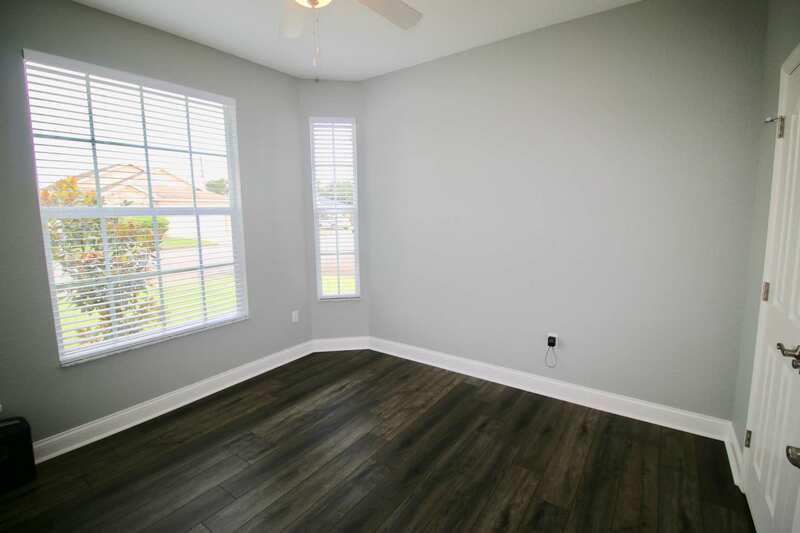 Open floor plan, with spacious great room featuring new luxury engineered vinyl waterproof flooring in great room, dining room, and 4th bedroom. Inside of the home has been freshly painted. 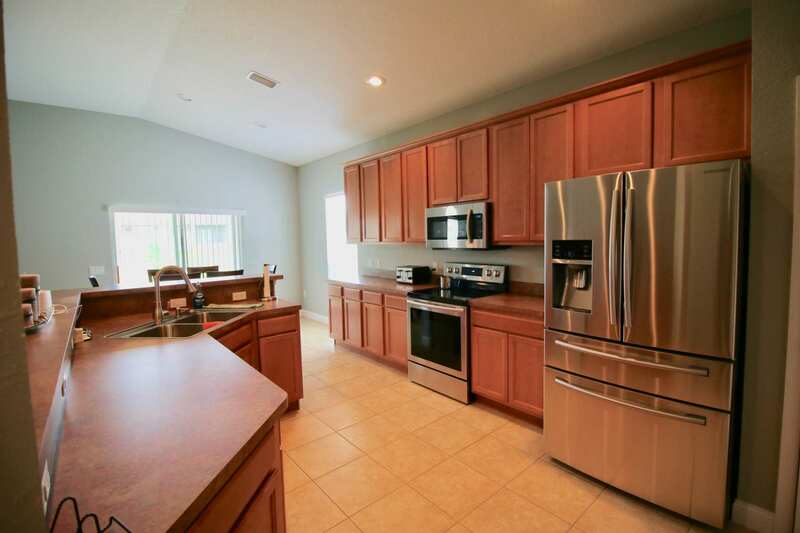 The kitchen features an eat in space with plenty of storage and all updated Samsung stainless steel appliances. 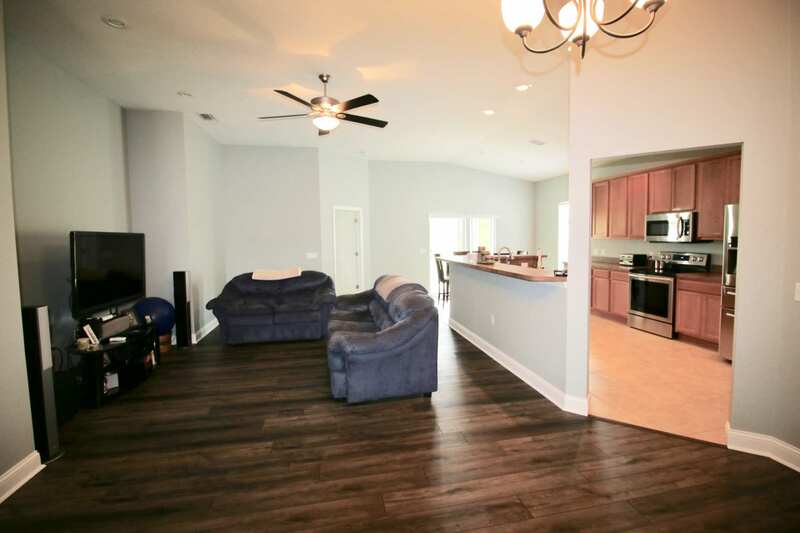 Enjoy a quick meal at the breakfast bar or have a sit down in the dining room. 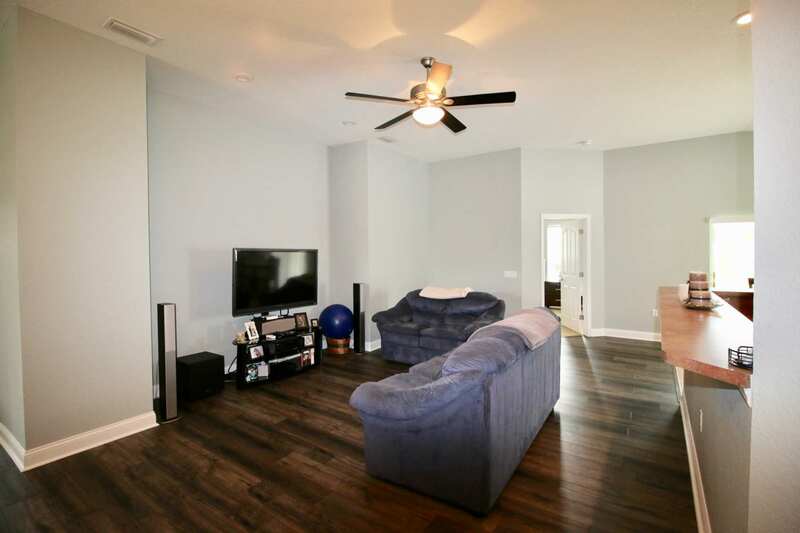 The open floor plan lets you be part of all the activities around the house. This split plan home features the master bedroom suite with walk-in closet, master bath with dual sinks, garden tub, and separate shower. 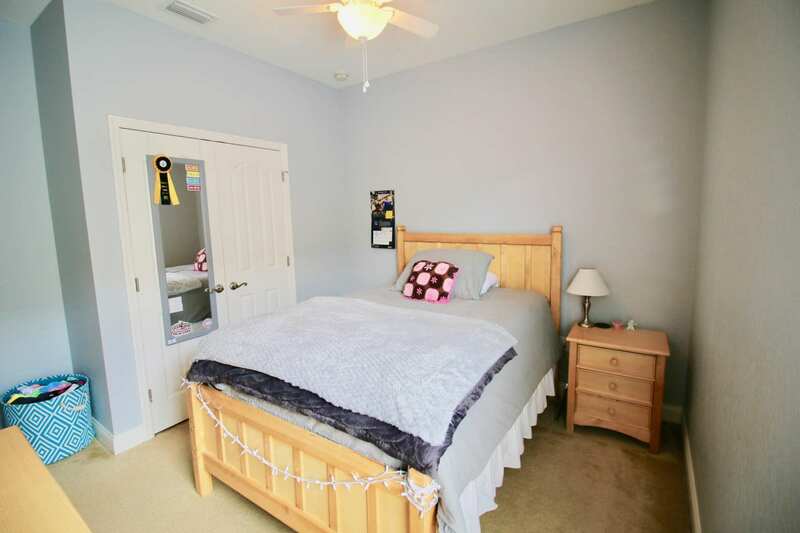 There are three additional bedrooms with another full bathroom providing enough space to really make this home yours! 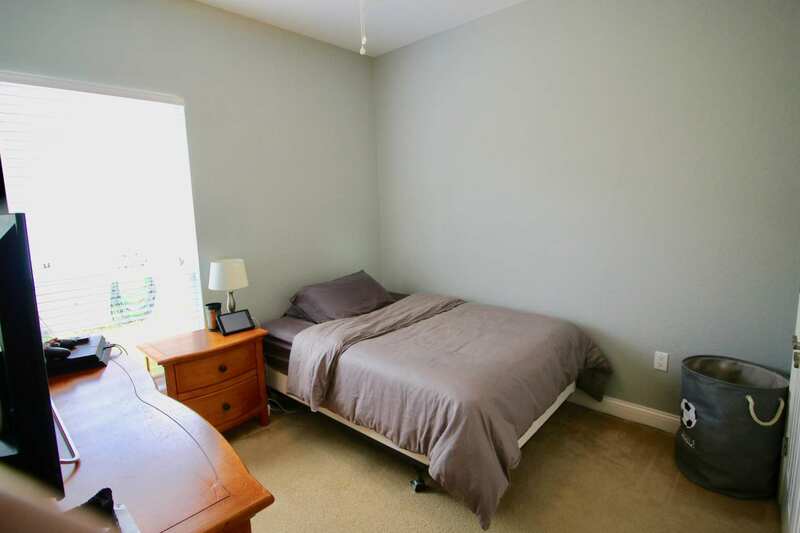 The home has been wired with CAT 5e ethernet providing internet connectivity in all bedrooms and great room. 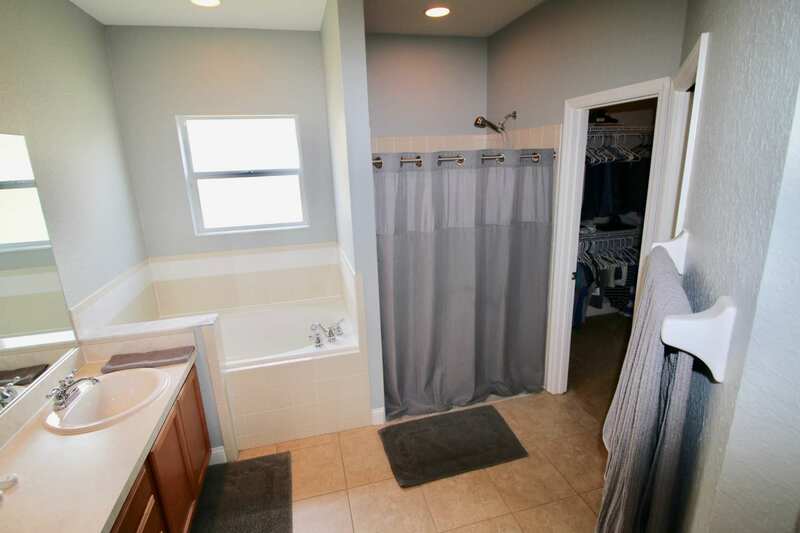 There is a home security system, whole house filtration, and water softener included. Relax on the screened in patio off the sliding doors from the great room. The Saratoga community has low annual Homeowners Association fee of $375.00. 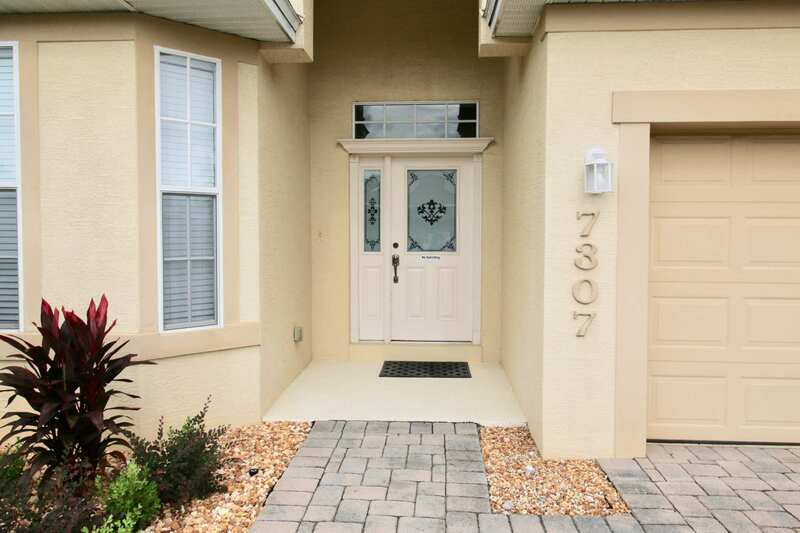 The community features paver driveways, sidewalks and reclaimed water for irrigation. 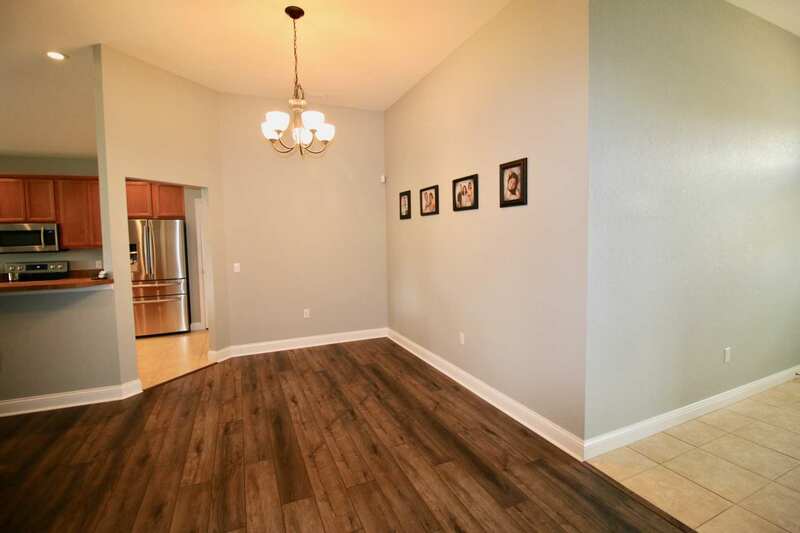 As you step outside of the lovely Saratoga community, you will enjoy the nearby locations of Hunt Fountain park with basketball, tennis, racquetball courts, soccer, baseball and football field. 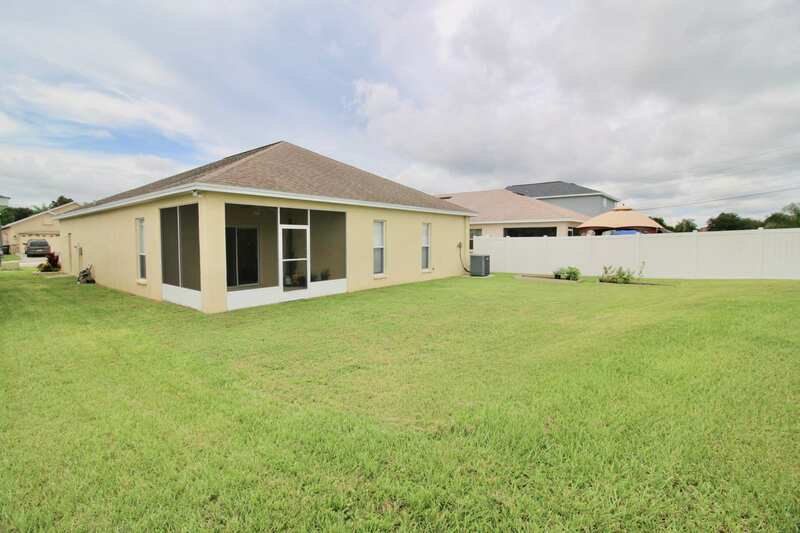 All the major amusement parks Disney, Legoland, Fantasy of Flight, Bush Gardens, fishing lakes or just an hour away from the Gulf of Mexico beaches. Polytechnic University is less than 30 minutes away. 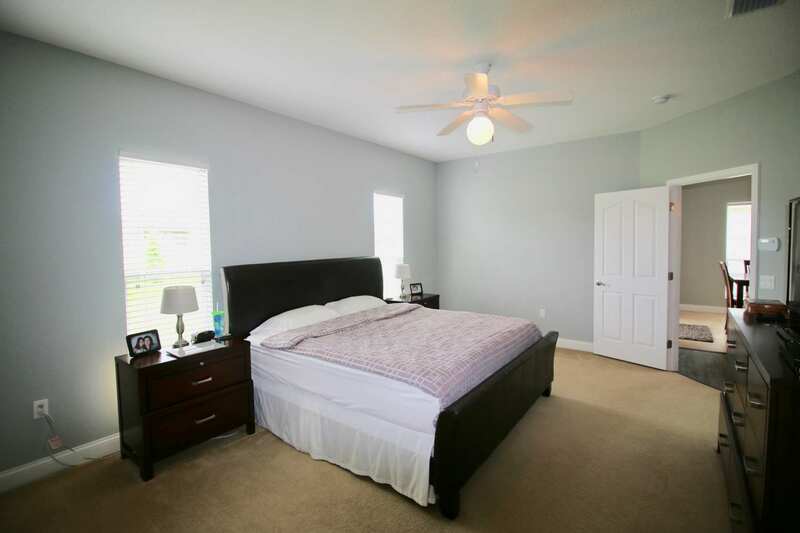 Easy access to Interstate 4, shopping, dining and entertainment are within close proximity.